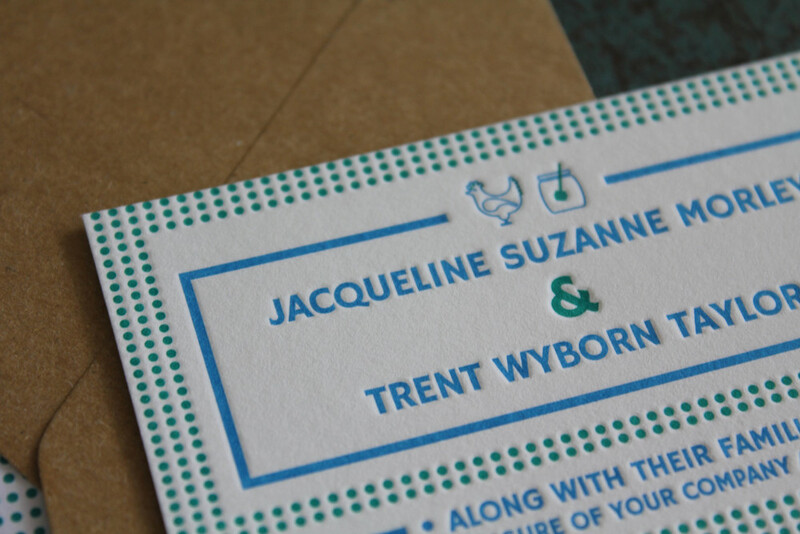 How amazing is this blue and green letterpress combination? We loved Jacqueline & Trent's vision, and it was especially fun to design little icons for their nicknames: "honey" and "chicken". We reckon those personal touches make all the difference!